“We are actively committed to struggling against racial, sexual, heterosexual, and class oppression, and see as our particular task the development of integrated analysis and practice based on the fact that major systems of oppression are interlocking. The synthesis of these oppressions creates the conditions of our lives.” – The Combahee River Collective Statement, 1977. “Feminism must include an analysis of race if it hopes to express the aspirations of non-white women.” – Kimberlé Crenshaw, 1989. “Intersectionality” has its origins long before it was named as such, and today it is widely used in both academic and public feminist discourse. In its most basic definition, it refers to an analytical framework for examining interlocking systems of power: patriarchy, capitalism, white supremacy, ableism, colonialism, and so on. It was developed by Black women as a corrective to white feminisms that foregrounded gender and erased or disavowed race, class, and other categories that affect an individual’s relationship to oppression and privilege. It has since expanded to an international and interdisciplinary method with portability across institutions and analytical objects. 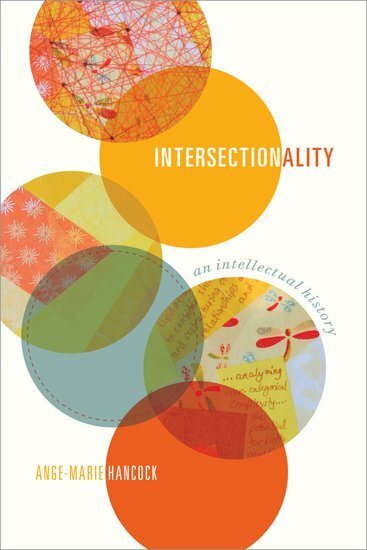 In Intersectionality: An Intellectual History (2016), Prof. Ange-Marie Hancock Alfaro provides a rigorous genealogy of this concept and method, carefully outlining its possibilities and limits—its critical power as well as its vulnerability to co-optation—along with a nuanced examination of its key debates. Her study identifies two major threads in intersectionality’s intellectual project: 1) “an analytical approach to understanding between-category relationship,” and 2) an endeavour “to render visible and remediable previously invisible, unaddressed material effects of the sociopolitical location of Black women and women of colour.” The chapters trace intersectionality’s activist roots and epistemology, its revolutionary potential, its relation to social constructivism, and the future of intersectional methods. Prof. Hancock Alfaro is Professor and Chair of Gender Studies at the University of Southern California and has written numerous articles and books, including The Politics of Disgust and the Public Identity of the “Welfare Queen” (2004) and Solidarity Politics for Millennials: A Guide to Ending the Oppression Olympics (2011). Her current work includes new research projects on asylum requests for survivors of domestic violence, empirical applications of intersectionality, and the free speech/hate speech debate. I had the pleasure of interviewing Prof. Hancock Alfaro in advance of her keynote for the launch of Research at the Intersections of Gender (RIG), one of the Signature Areas at the University of Alberta. RIG starts from the premise that research strengths at the intersections of gender (including race, class, Indigeneity, disability, language, immigration status, and many more vectors of identity) are found across all fields and corners of academic knowledge production. Below is the interview, reproduced in full. Intersectionality as a method has so much portability across disciplines and institutions. This flexibility might also allow it to be commodified into a currency for liberal institutions; that is, people can say just their work is intersectional by tacking on another layer here or there of identity without actually doing the work of critical analysis. As someone deeply attentive to the history and genealogy of intersectionality, how do you imagine its future? That is, how can this co-optation be resisted? This is actually the heart of the talk I will give next week—those of us who do intersectional work must of course hold ourselves to a standard that is true to the full potential of intersectionality’s “disruptive” ethos. We must also act as what I call “stewards” of intersectionality studies—create epistemic communities both local and global that will ensure the production of intersectional work that is simultaneously inclusive of the heterogeneity of intersectionality studies and is clear about how NOT to engage intersectionality. There’s been a lot of talk about identity politics these days, with critiques from the left and right. I see liberal identity politics as a way to sow division but left identity politics as a way to recognize difference in order to build solidarities. How can intersectionality be used to think relationally in these ways, not to flatten difference but to critique the systems that produce these identities? There is a leftist critique of intersectionality that reduces it to identity politics, based on a flawed understanding of what intersectionality argues. As I think about identity politics per se, I don’t see much in the way of a rich understanding of identity politics among liberals or on the left at this time, perhaps because I am too immersed in the critiques of intersectionality! That said, I think intersectionality is a critical tool for helping us build solidarities. Due to its understanding of the relationship between situated identities and the institutional dynamics that produce material experiences, intersectionality helps us a) identify unlikely allies in our political work; and b) improves the diagnoses of the problem because intersectionality’s understanding of reality differs qualitatively from the liberal, who sees the world fundamentally as egalitarian and racism, settler colonialism, sexism, homophobia and ableism (among other axes of oppression) as exceptions to an otherwise sound structural reality. Intersectionality’s understanding of reality is also distinctive from the perspective of the far left, particularly those who insist on an ontological primacy for class (whether thickly or thinly conceptualized). Both distinctions mean that intersectionality is fundamentally asking different questions and developing different strategies to address such questions than the standard questions most social science-based disciplines ask. I view public intellectual work as inextricable to our academic work, especially for those of us who are not often represented in either the academy or public sphere. How do you see the concept of intersectionality circulating in popular discourse, and what kind of role can public scholarship play in combating its misrepresentation and co-optation? I am concerned about public scholarship for two interwoven reasons, both of which mean something for scholars of intersectionality in particular. Generally, the paucity of quality attention to public scholarship in the age of social media has deeply affected our societies’ abilities to combat some of the most challenging issues of our time. In the Global North a tremendous “unplug” has occurred, and what would be considered truly disturbing even ten years ago is rapidly desensitizing us and, more importantly, demobilizing many who need to be part of the solution. In the Global South, the paucity of quality attention to public scholarship is shaped by both economic and human rights-driven imperatives that are in dialogue with the Global North, allowing neoliberal understandings of “progress” to infiltrate working and middle classes of societies and demobilize populations, leading them toward empty promises of prosperity and security rather than toward visions of liberation that are wholly original and unapologetically indigenous to the artists, activists and intellectuals of the Global South. The second question, which regards intersectionality, is just as daunting to answer. The circulation of intersectionality in public discourse is highly charged, as it takes on a life of its own. While I see tremendous value in public scholarship on intersectionality, and especially the new modes of dissemination of public scholarship, it is a constant battle that requires vigilant stewardship. I teach critical analysis to my students as a lived practice of interrogating the of systems of power we inhabit. What strategies do you find useful in teaching intersectionality as a method for examining this matrix of systems? As intersectionality is not just about marginalized dimensions of varying identities, how do you get students to think about privileged identities as part of these systems? I find that the best way to think about the distinction of marginalized and privileged identities is to introduce and require attention to structural processes. I use the metaphor of double helix and what Charles Ragin defines as complex causality (the idea that there are multiple, equally legitimate, paths to the same outcome) to illustrate that attention to time dynamics (the role of history, the signal event, or the policy intervention) interacts with the existence of institutional processes that individuals are constantly navigating, to illustrate simultaneous privilege and disadvantage. Getting caught for a speeding ticket is an easy way to think about this particular idea of privilege and disadvantage. Finally, what are you reading right now that inspires or provokes or energizes you? I’ve just read and edited our latest publication for our Politics of Intersectionality Series, The Handbook of Intersectionality and Public Policy [Palgrave Macmillan]. It is a tremendous collection of work from around the world and is available both in its entirety and by section electronically!